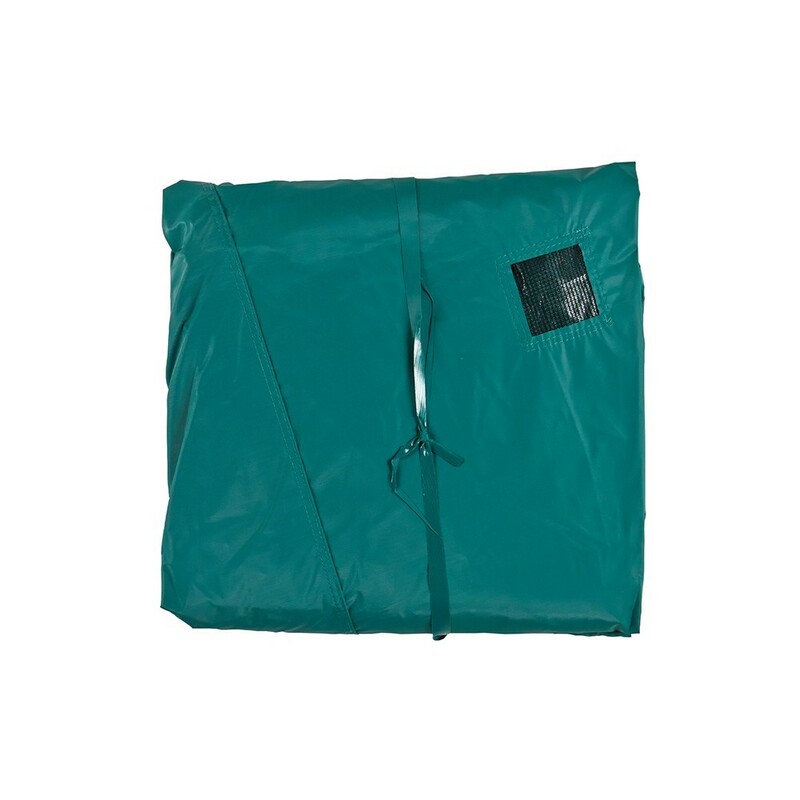 Protect your Apollo Sport 300 trampoline form the weather with this cover. 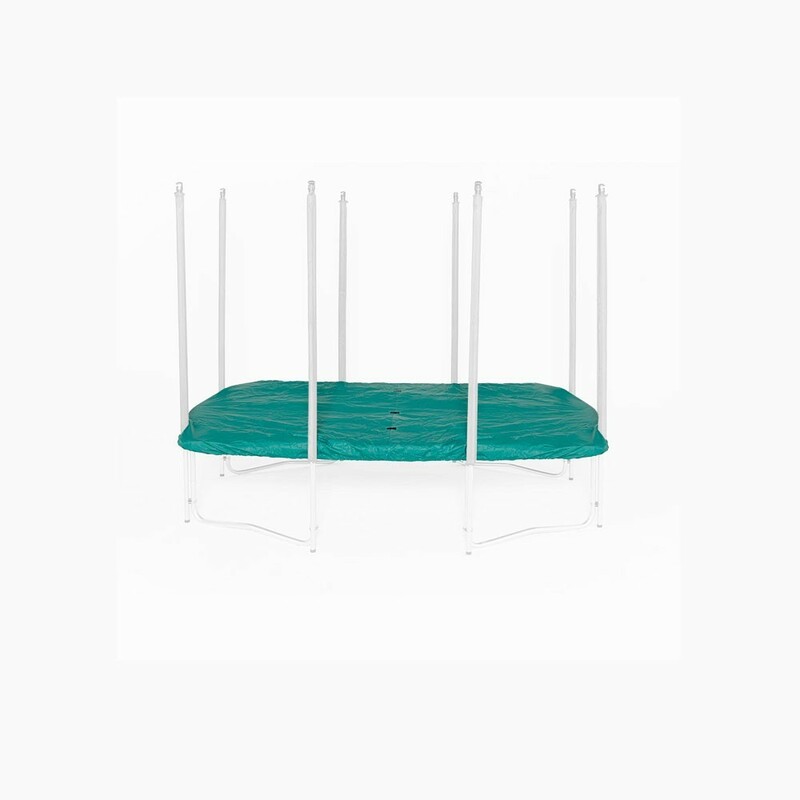 This rectangular cover for the Apollo Sport 300 trampoline will allow you to protect your trampoline from the rain, the sun or even dead leaves. You will be able to keep your trampoline clean and improve its durability. 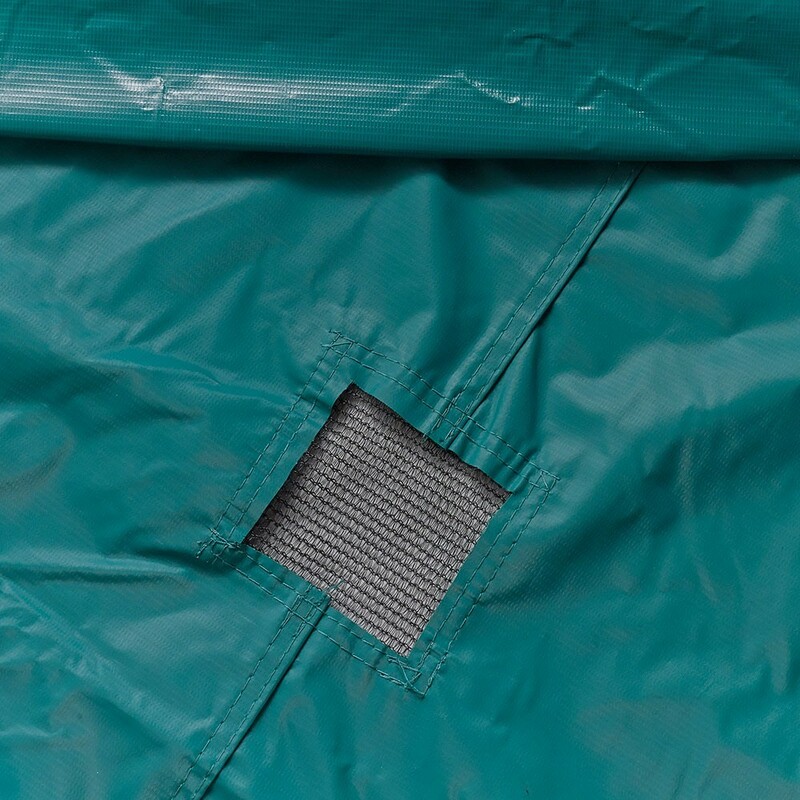 - This cleanliness cover is adapted to use on our Apollo Sport 300 trampoline. 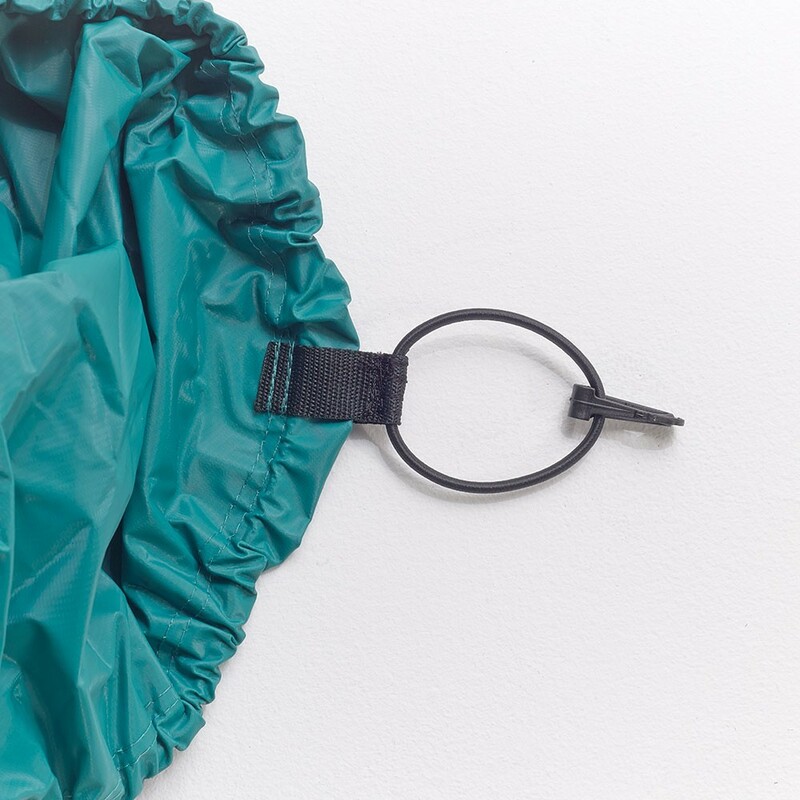 - Made of a high-tech fabric and covered with a PVC coating, this cleanliness cover is thick and resistant to weather changes throughout the year. The density of PVC used is the same as on lorry tarpaulins, proving how waterproof and resistant this cover is. 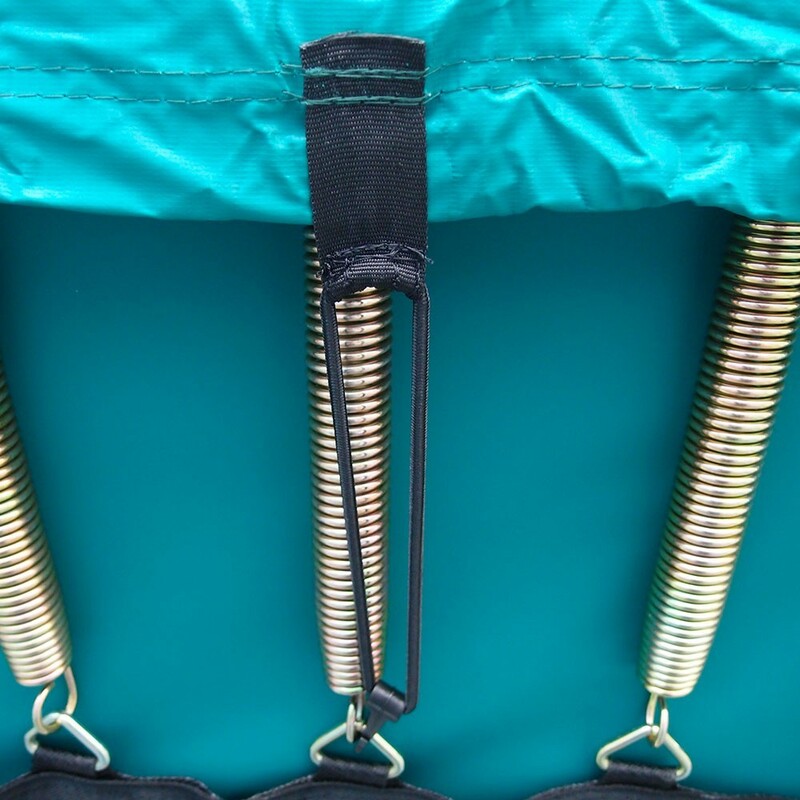 - This cover is firmly attached to the trampoline using thick, stretched elastic straps which guarantee that the cover will be firmly placed on the frame pad. Furthermore, hooks are used to ensure perfect hold. 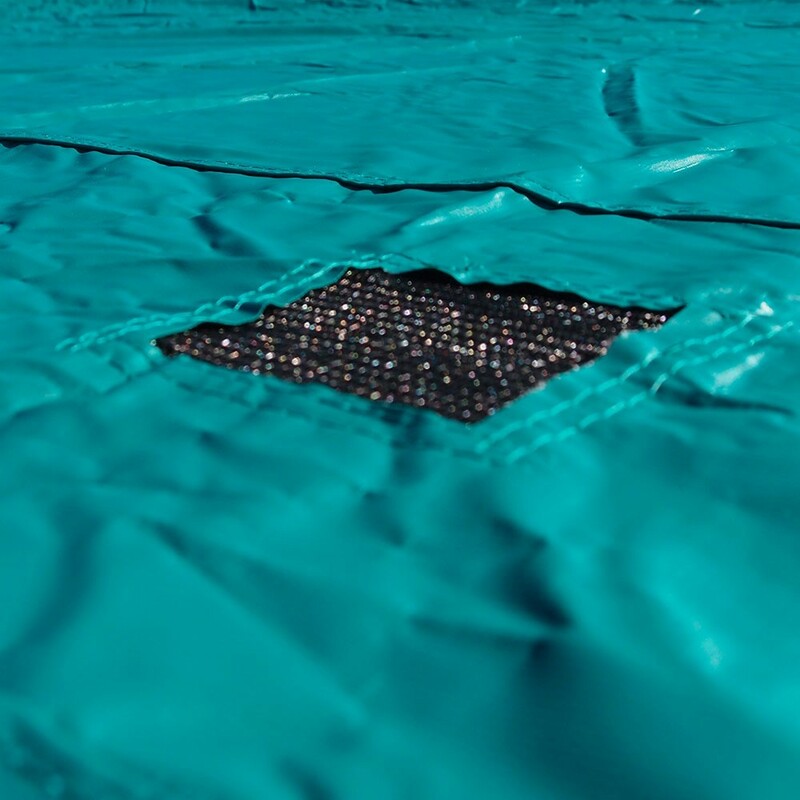 - The protection cover has 3 mesh grids which allow water to be evacuated. When water puddles in big quantities on the cover, this applies pressure on the springs and over time they will be over stretched. Therefore this cover will allow you to maintain the trampoline in pristine condition and make the most of it dynamism in the long term. - The cover is green so it will blend perfectly into your garden surroundings. It is very useful in winter, however it will also prove helpful during the summer. 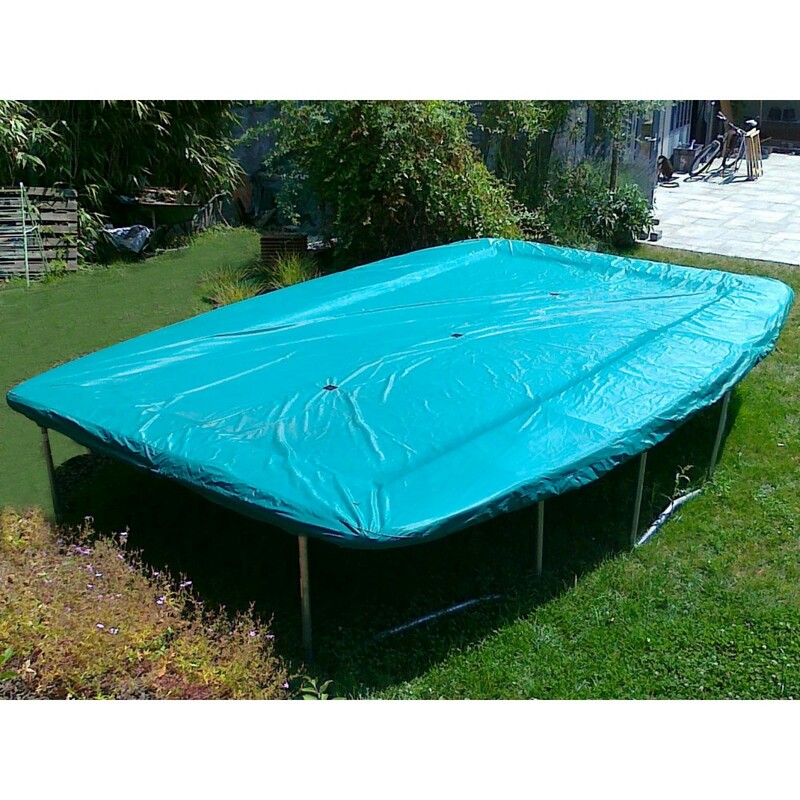 Its UV protective coating will be very useful to protect your trampoline from the sun during the hot summer months. It will allow you to keep your trampoline clean and ready-to-use all year round. This cover is also easy to use on trampolines with an enclosure.